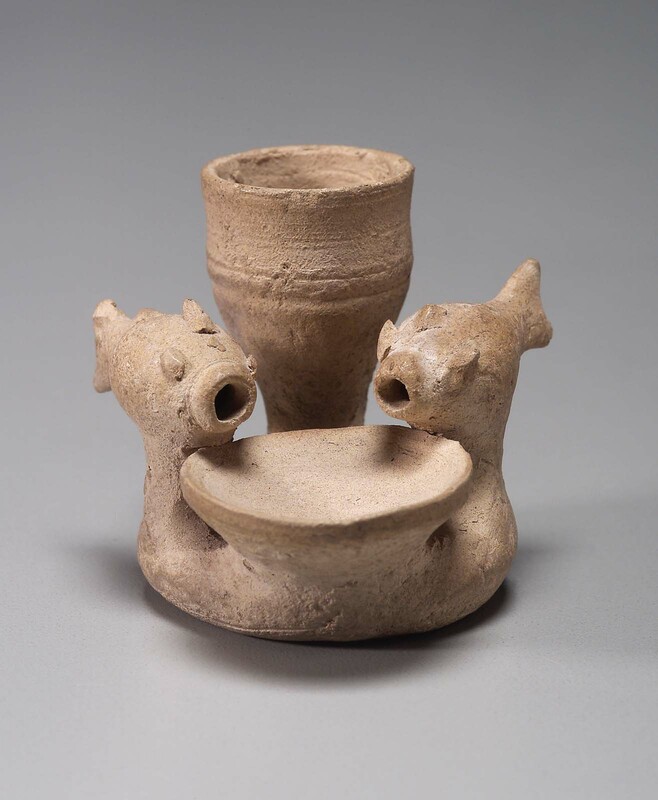 This object is a miniature fish fountain made of unglazed buff-colored clay. Several components share the same base: A central shallow bowl is flanked by two fish with modelled and applied details set on pedestals. Water was meant to flow from the mouths of two fish into the bowl. Between the fish and behind the bowl is a taller source beaker with narrow base that flares (with slight concavity) to a cup-like mouth. The surface is worn, but the fountain is complete and intact. From Mesopotamia. (Accession Date: April 2, 1936).